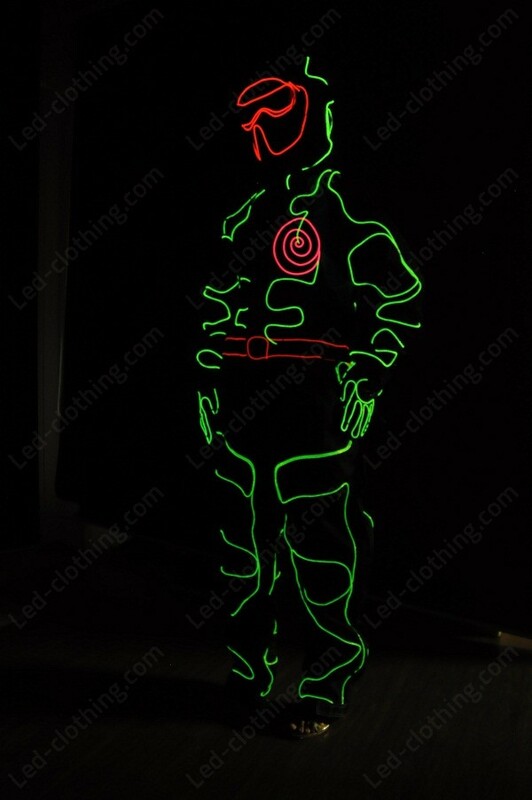 Item 110 - LED Costumes | LED Clothing Studio Inc.
You are buying a LED costume that is perfect for entertaining crowds and dancing shows at night clubs and night parties. Best results are achieved if smoke machine is used. Please read carefully. 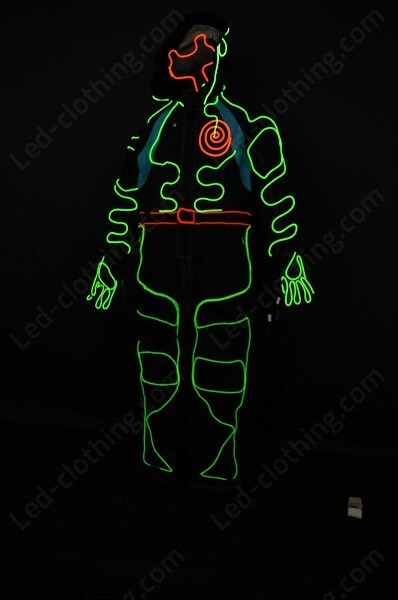 The costume is made with high quality Ultra Bright RGB LED Stripe and Elastic Cotton, and powered by 8 AA Batteries that last approximately 2 hours of continuous usage (depends on battery quality). The costume is switched on and off with manual controller (default) and can be in sound-sensitive mode (additional option) or pre-programmed mode (additional option). 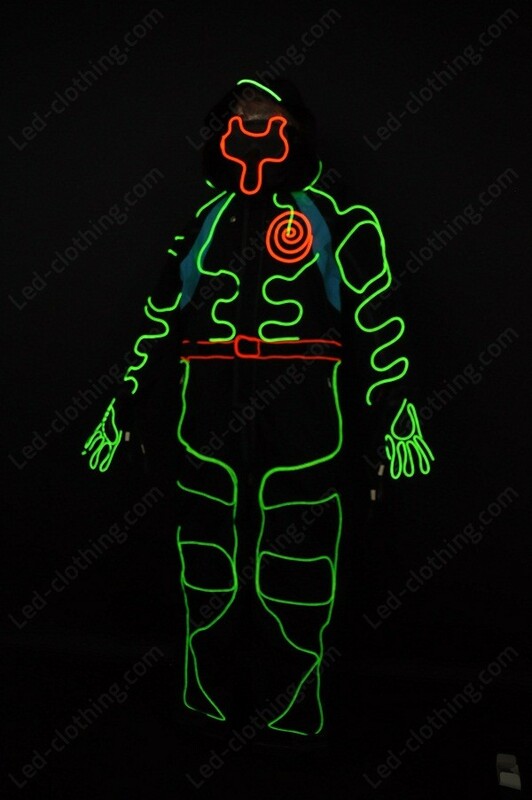 For special events and performances costume can pre-programmed for operation in sequence with music. Best results are achieved if several costumes are used in pre-programmed mode. 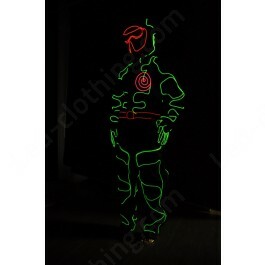 Production and shipping: The costume is made and shipped from Seoul, Korea, South with EMS service and tracking number. 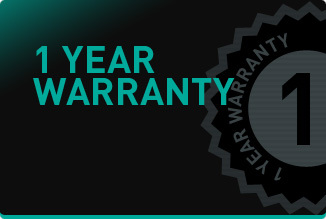 It will take 2 - 3 business days to check and confirm all measures. 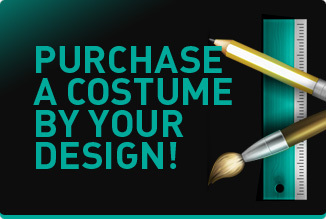 6-10 business days for the costume to be produced and transferred to the warehouse Up to 10 business days for delivery. Free shipping to all locations. Address must be confirmed. Please note, that the package can be delayed at customs.